“We welcome the Eastern Partnership initiative bound to enlarge many countries, among them Belarus, in European processes. However, our relationship cannot be other than equal. 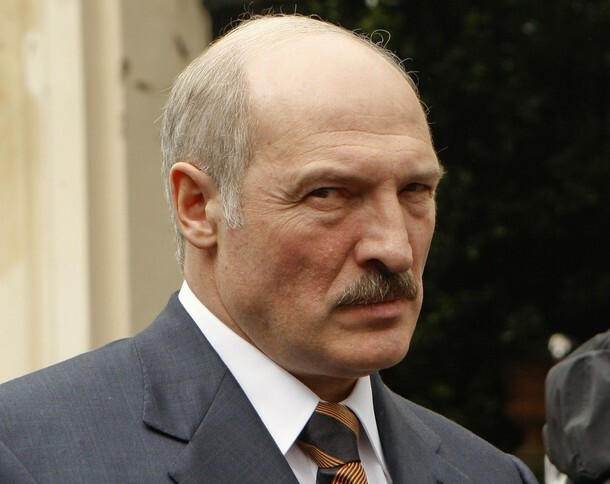 There must be no pushing of a particular cooperation format or model.” Belarus President Lukashenko said this during his annual address to the nation and National Assembly on Tuesday 20 April. Any demands for "an alternative opposition parliament to sit together with parliamentarians" will never be accepted,Lukashenko stressed. "Why should such demands be made only of us?" he added. "There're other states there [represented in the EURONEST PA], and they have the same problems." "If we don’t suit the Eastern Partnership, tell us so, we'll do without it, especially considering that we haven't received anything and will hardly receive. We were invited and told: 'Come, we'll talk and cooperate.' Okay, why should we refuse?" “I guarantee that no topics will be avoided. We, however, expect that the talk will be objective, mutually respecting, sincere, without double standards,” stressed the head of state. “In recent years we have managed to advance relations with the European Union to a quality new level. Our productive and consistent approach has received a response: Europe has understood the hopelessness of old approaches to Belarus. Dictate and pressure are replaced with an open and objective dialogue. We are pleased that such powerful European countries as Germany, France, Italy and others pioneer this sound approach”. “I am glad that the European elite is rejecting the false stereotypes about the situation in Belarus. I am glad that Europe understands that Belarus is an island of stability and security,” said the President. Euronest Parliamentary Assembly was expected to be launched on 24 March in the European Parliament but this date had to be postponed because no agreement could be reached on the participation of Belarus. The European Popular Party in the European Parliament tuned down the participation of Belarus on equal basis in the Euronest Parliamentary Assebly bringing this project to a stall. This decision was taken despite the call from the other 5 Eastern countries, namely Armenia, Azerbaijan, Georgia, Moldova and Ukraine, to invite Belarus as an equal partner in this Assembly. In a press conference on 24 march in the European Parliament, EP Chairman for Euronest Parliamentary Assembly Kristian Vigenin expressed his regrets concerning the unsuccessful attempts to reach an agreement with the Eastern countries to launch the Euronest Constitutive Assembly today but remains very optimistic that this assembly will kick-off later this year. In an attempt to find a compromise solution on the participation of Belarus in Euronest, an EP delegation went to Minsk earlier this year to discuss this issue with the opposition, civil society and the government of Belarus. Do they spray chemtrails above Belarus?